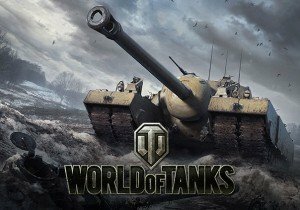 It’s almost time to break all the rules and be your own hero – World of Tanks Console – Mercenaries receives its most significant content update on June 26th, 2018. World of Tanks: Mercenaries adds the new “Mercenary” faction, that comes with a grim, terrifying new reality. The land is ravaged by war, and history has been rewritten. Law and order has failed, borders are crumbling, and the destabilization of global powers has given rise to mercenaries who carry out the will of the highest bidder. Soldiers and civilians alike now fight for themselves and with their cobbled-together tanks to suit their current mission, the game will never be the same. The Mercenaries update will feature new “War Stories” set in this reality, and the update will also launch with five new “Mercenary” tanks. In lieu of a “tech tree”, Mercenary tanks will be unlocked via contracts, which can be bought out to unlock them immediately. The Mercenary tanks have unique Mercenary crews, and each tank is made up of parts scavenged from other vehicles. These can be a combination of various nations, tailored to the traits and needs of the new Mercenary characters. As the Mercenaries notoriety grows, so will the landscape change, and more incredible, unique vehicles will be available in the coming months. The first War STory is “The Heist”, which is an action-packed tale of espionage that follows a crew of Mercenaries who are contracted to set up, execute, and escape from a raid in a secret war facility. If that weren’t enough, new maps have also come to Multiplayer battles, with fan-favorite maps now ravaged by war. Two weeks ago, Fiesta Online released its newest dance - Roumen Style - in homage to Psy's Gangnam Style.